A lecture by Deborah Epstein. The #MeToo movement, #WhyIStayed and #WhyIDidntReport campaigns, and Larry Nassar’s sentencing hearings raised public awareness not only about workplace harassment, domestic violence, and sexual abuse, but also about how routinely women survivors face a Gaslight-style gauntlet of doubt, disbelief, and outright dismissal of their stories. This pattern is particularly disturbing in the justice system, where women face a legal twilight zone: laws meant to protect them and deter further abuse often fail to achieve their purpose, as the arbiters of justice and social welfare adopt and enforce legal and social policies and practices with little regard for how they perpetuate patterns of abuse. Credibility discounts both deepen the harm abused individuals experience and create yet another impediment to healing and justice. Concrete, systematic reforms are needed to eradicate these unjust, gender-based credibility discounts and experiential dismissals. 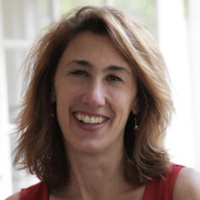 Deborah Epstein is Professor of Law at Georgetown University Law Center and Co-Director of the Domestic Violence Clinic. During her more than 30 years advocating for the rights of survivors of domestic violence, she has chaired the DC Domestic Violence Fatality Review Board and co-chaired DC Superior Court’s creation of a Domestic Violence Unit. She also served on the NFL Players’ Association Commission on Violence, from which she publicly resigned in June 2018. She has published extensively and consulted nationally and internationally on domestic violence law and policy.